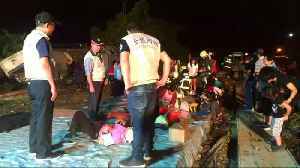 Taiwan's president has visited the site of the deadly train crash, calling for a swift investigation. 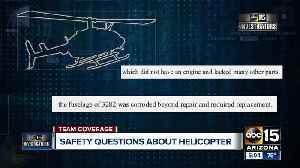 Court documents indicate helicopter involved in deadly crash may not have been airworthy. 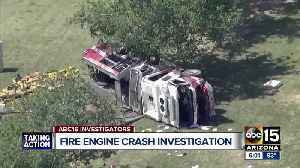 An investigation is underway to determine what happened after a crash between a Phoenix firetruck and a car left a family dead and three firefighters seriously injured. 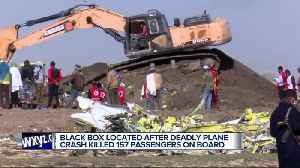 The investigation into a deadly Ethiopian Airlines crash just six minutes after takeoff continues as the black box has been recovered. 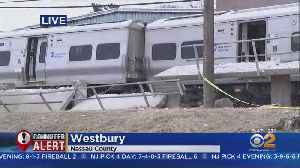 Three people were killed when authorities say a driver manuevered around lowered gates and was hit by two Long Island Rail Road trains moving in opposite directions. Two cars on one of the trains..